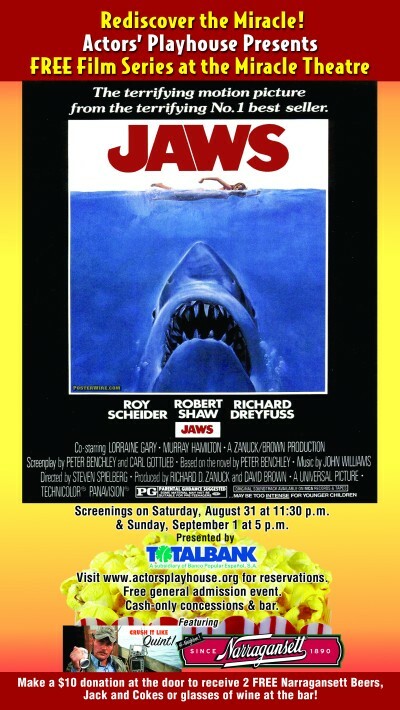 The Actors’ Playhouse Presents JAWS for FREE on the big screen at Miracle Theater in Coral Gables, FL. With 2 showings to choose from, this Saturday at 11:30pm or Sunday at 5pm, this is one event that’ll make you stay away from the beach this Labor Day weekend. 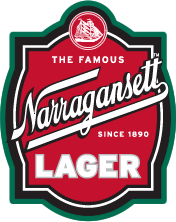 With the suggested donation of $10, you’ll get 2 ‘Gansetts in the iconic throwback 1975 can to “Crush It Like Quint” with.